Exporter of a wide range of products which include h.r.c. fuses and brass crimp fittings. We are engaged in producing H.R.C. Fuses with high grade brass and latest technology. H.R.C. Fuses are used at large in both domestic and industrial purposes to protect systems from over transfer of current through the system wires. Our organization also entertains the needs of customized fuses as per the requirements of the customers to fulfill their purposes. 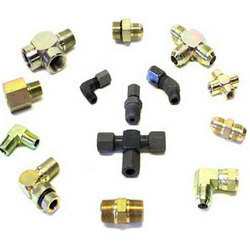 We offer a comprehensive assortment of Brass Crimp Fittings for our valuable customers. 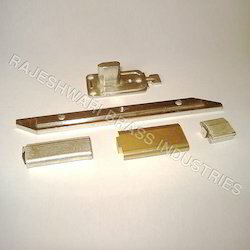 These are widely used in automotive, construction and engineering industries. These products are a result of the application of precision and cutting edge technology. These can be finished depending upon the requirements of the customers. We readily customize these products to suit the specifications of the customers. These are priced competitively. • Size: 3/8" to 1 1/4"